Thank you so much for cooking for us on our magical day. You and your staff were amazing. Many thanks to you and your staff for all the work that went into catering for our daughter’s wedding at Hayne house just before Christmas. Sarah and Josh had a lovely day and we had many guests tell us that the Carvery Wedding Breakfast was very well cooked and the canapés were delicious. Clare you and your team are the best!!! AMAZING food and service from start to finish!! We would like to thank you for all your assistance with the event! You were extremely patient and helpful at all times. We wish you all the best for the future. Thank you for all of your wonderful food on our wedding day everything was just right and everyone remarked on how much they enjoyed it (even the fussy ones). I would have liked to have got this card in the post sooner but I have only just said good bye to my last guest. Everybody was sooooo enthusiastic about your catering and I can still taste that gorgeous beef & ham, and the salmon was pretty wonderful too. Thank you Clare, for everything you did plus getting Petham Village Hall for the venue. My family and friends had nothing but praise for everything. You will always be highly recommended. WOW, how can we thank you enough for helping to make our day as incredible as it was. The food was simply amazing and we can’t tell you how many of our guests complimented us on the food. So, thank you very much for all your hard work, everything was delicious! Thank you for providing a scrumptious meal on our special day and the service was impeccable too. Many guests commented on the beautiful spread and the prompt and polite service. We will certainly recommend your company to others. Thank you and your team for the amazing food on our wedding day. It was perfect and everyone commented on how good it all was. We had such an amazing day – Thank you. Many Thanks for the amazing food and service. It truly was incredible and we have had so many compliments about all of it. Thank you for your incredible food and service on our big day. We cannot recommend you highly enough! We had so many compliments from our guests on how tasty the food was. Thank you so much for everything before and during the wedding. The food and service was amazing. You should be very proud of your team. We honestly cant thank you enough! Simon and I just wanted to drop you a quick note to say thank you for the fabulous food your produced for us on our wedding day. All our guests commented on how wonderful it was everything from the canapes to the evening buffet was perfect. Thank you for all your hard work. 2 of Harps Enjoyed a lovely meal whilst playing for a wedding today. It was a long day for us from the church right through to the first dance. Our fingers were aching, but Claire made us want to use them even more as she surprised us with a plate of beautiful mini deserts. We are back in a couple of weeks and are going to keep smiling in the hope of a repeat experience! Thank you for my pudding, it was really nice. I just wanted to Thank you and your wonderful team for making Mum’s birthday so very special. Everybody had a wonderful time and we had lots of compliments for your lovely food! So I just wanted to send you a quick email on behalf of me and my new wife – Mrs Gardener. You and your catering team need to take a deserved holiday – your food was amazing and you and your team did outstanding food & service for our wedding and we were extremely lucky so a huge kiss, cuddle and more thankyous than we own. I wish you all the best on you ever growing business and hopefully one day our paths will cross. P.S. You need to open up a restaurant and we would defo come (All the time). Wow – what can we say…………….? The day was brilliant and we owe you great thanks for making our day go so well. The food was fantastic, the staff were great – all of our guests were amazed by the delicious food. Thank you so much for your help from the first time we spoke, helping us plan such a great menu and delivering truly first class food all day. 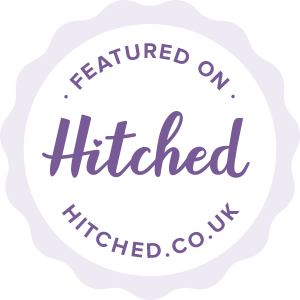 Thank you for being so helpful throughout the whole wedding planning and also with our drop outs in the lead up to our wedding. Thanks again Clare to you and your wonderful team!!! Fantastic food! We had the pleasure of having Touchays cater our wedding @haynehouse. The service we received was five star. We worked with them to create a Ghanaian fusion menu. They did a fantastic job and got the seal of approval from the Aunts with the Jollof. The guests thoroughly enjoyed the food and were spoilt! Many thanks again to Clare, Russ and their amazing team. Now that sounds absolutely incredible! I can see why you’re an award-winning caterer! You have already gone above and beyond and we have so much faith our catering is going to be a huge talking point of our wedding. Thank you so much for your help, that dessert is perfect! Ben and I would like to thank you and your lovely team for catering our special day. We had an amazing day and our family and friends raved about the food! satisfied and would recommend Hayne House and Touchays to anyone looking for a wedding venue. We had the best honeymoon and the most amazing day. It couldn&#39;t have gone any better. All our friends loved the food and are still talking about it. It was perfect and we cannot thank you enough for helping that idea come to life. From our first meeting at the Hythe Imperial to the wedding day you were amazing. Thank you so much. Thank you so much for helping us to have the perfect wedding day! Your food was amazing and really helped our Nandos idea come to life. From our first meeting you blew us away with your ideas and said how cool and nice the food was. and above what we would expect from a catering company and we loved everything about their service. Would recommend extremely highly to anyone.